Home » A Spooky Manitou Halloween! It’s another sunshine-y day at Manitou today! I woke up to another beautiful day and to a lot of smiling faces. Our L.I.T.s (Leaders in Training—second year seniors) left this morning to go on their annual rafting trip, and I could tell they were all super excited for the adventures they were about to have! I can’t wait until they get back and we can hear all of their stories…I bet they’re making memories right now! Speaking of memories, our Manitou campers and staff had a lot of memorable moments last night during our annual Halloween. I know it may seem funny to have Halloween during the summer, but here at camp we go all out and make it one of the best nights of the summer! Everyone dressed up and got to Trick or Treat for candy from all of the staff, go on a hayride, eat at the corn roast, play some fun games, and of course, go into the spooky Haunted House! There were so many fun and creative costumes, and some tasty candy, too. Then we ended the night with a big camp-wide dance and people were really showing off their best moves! It was one of our best Halloweens ever, and I know people will be talking about it for the rest of the summer. Today at camp, we have our regular activities running, and some of our campers have been hard at work training for various athletic events we have coming up! This session, we have two Intercamps, where we will be competing against different camps in a variety of sports. Our Under 12 and Under 16 teams have been doing try-outs and practices all week long, and I think we’re putting together one of our best Manitou Intercamp teams yet! We also have some young runners training for the 15th Annual Muskoka Rocks Race, which is a special summer race where over 600 participants run to raise money for Camp Oochigeas, an overnight camp for children with cancer. Every year, we send some of our amazing Manitou runners to do the run, and it’s so awesome that they get to do something they enjoy, while also helping a good cause. 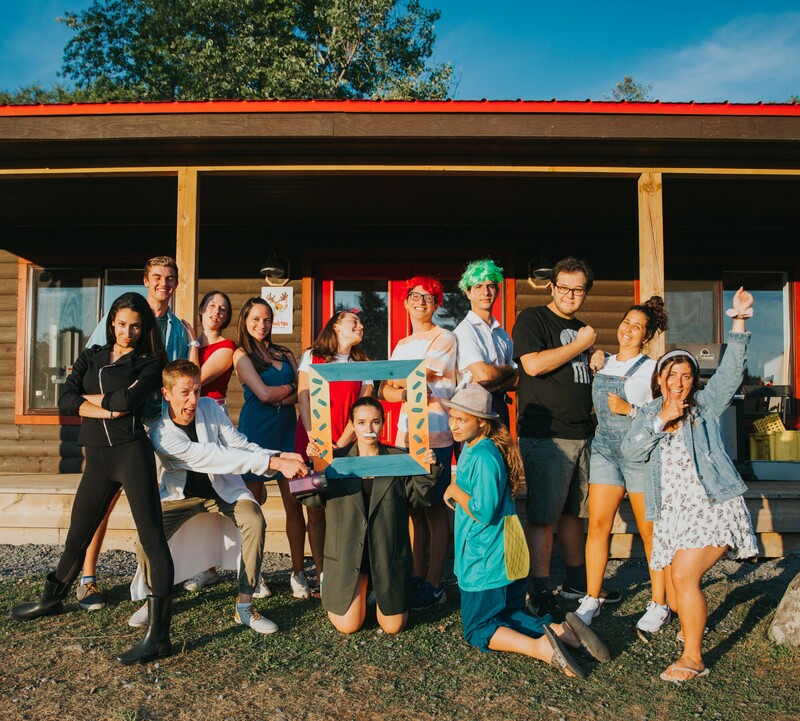 And then, of course, like every Tuesday night at Manitou, we will be having our Cabin Activity Rotation, which is where cabins go to activities they may not normally try and bond together. I love seeing our outgoing campers try all sorts of new things, with big smiles on their faces! Splish Splashing in the Manitou Rain!